WELCOME to the Forty-Seventh issue of the Bay City Post! - Keeping you updated on the best city on the grid. Spring has sprung, and it's time for the Post! We've through off the shackles of old man Winter, and the flowers are in bloom -- and here in Bay City, we're getting ready for the big event, our anniversary! Read more about that just below! Here's to a great time, and I hope you have fun reading the paper! All that... and... well, pretty much that. 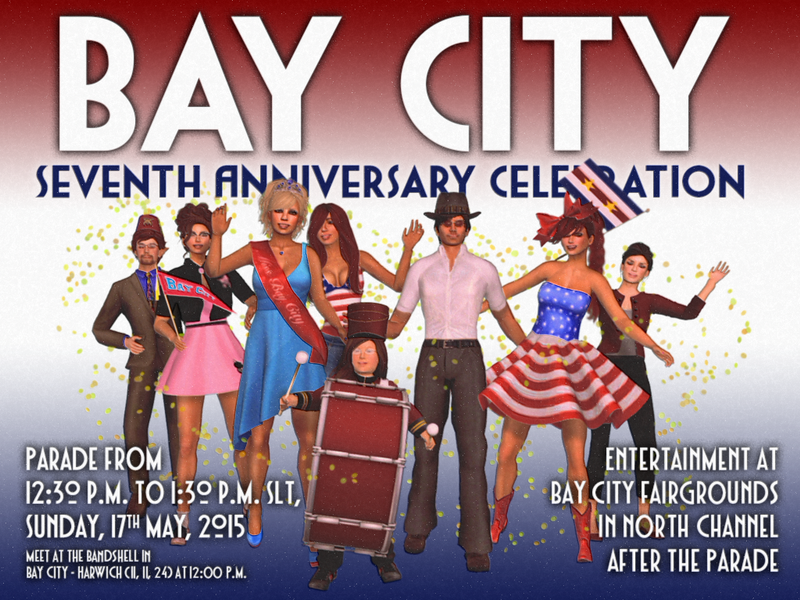 Bay City, the first project of the "Linden Department of Public Works," is entering it's 7th year as part of Second Life. To Celebrate, Residents and friends of the popular mainland community will host their annual parade as well as a live music event. A live concert will kick off at 1:30 p.m. SLT/PDT at the Bay City Fairgrounds, featuring a trio of live acts as well as DJ Marx Dudek providing music leading into the event. 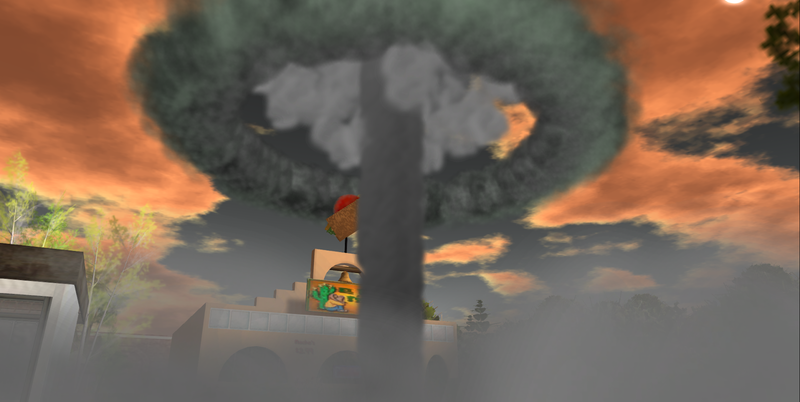 Seasons are always funny things in Second Life. Aside from us being part of a global community where all sorts of weather is being experienced outside of our world, there are some truisms about the Second Life seasons that tell more about humans than about the weather. So while May might be when Spring is kicking into high gear for many on the grid (or Autumnal weather for our down-under Residents), Spring in Second Life started sometime in January as people decided they'd had quite enough of the winter weather. Indeed, it's largely already Summer in SL, and will likely remain so until around mid-August, when it becomes Autumn. No, actually it becomes Hallowe'en season. That'll last until, oh, the 20th of October or so (You'd think the 31st, but no). At that point, it becomes Christmas season, and we start 'round once again. I'm not complaining about this, as much as it might sound like I am. If anything, I find it funny how we shape the seasons in a world where we're allowed such power. Things are getting downright nuclear at Toxic Taco! I knew this "ghost pepper" craze would lead to bad things!